April 18, 2019 — The web has a dirty secret. Its carbon footprint is larger than that of global air travel. And the immense energy consumed by the Internet from non-renewable sources makes it the largest coal-fired machine on earth. For the first time, Mozilla’s 2018 Internet Health Report highlighted this growing problem, and stated that sustainability should be a bigger priority for the industry. 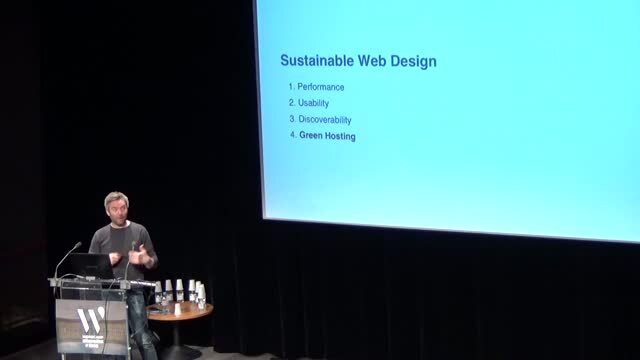 This talk is about the practical steps that those in the WordPress community can take to reduce the environmental impact of their work and promote a better future. March 8, 2019 — How many times have you been in a situation where the client is never happy with the results, no matter what you do? How many ’emergency’ messages have you responded to because the site isn’t quite right in some new way? How many clients have you lost or fired because they honestly had no idea what they really wanted? If you answered yes to any of those questions, this session is for you! February 8, 2019 — The various ways on how to create a WordPress website in minutes with no coding required. 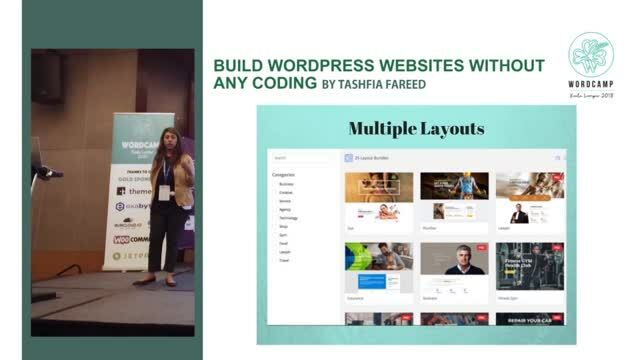 The goal is to show how people can use WordPress to craft modern and professional websites even if they are a WordPress beginner. Even developers can boost their efficiency through customization with minimal coding. 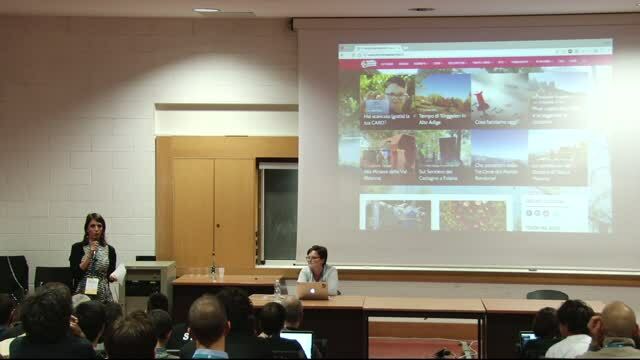 The opportunity to show how WordPress enables people to build websites live and easy. January 8, 2019 — Most websites are disposable – they are built once and not changed until they are replaced or turned off. Frequently, this is despite the best intentions of the original owner, designer, or developer. 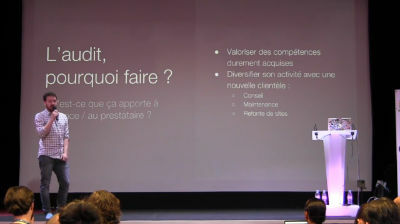 March 27, 2018 — De la théorie à la pratique, Jean-Philippe Audit –expert en analyse de sites WordPress– se propose de vous accompagner dans la réalisation de votre premier audit complet de site web. Bien qu’un peu austère de prime abord, cet exercice est un excellent moyen de diversifier l’application de votre expertise WordPress. Et aussi d’apprendre à déceler le code « améliorable » d’un site que l’on n’a pas réalisé soi-même en moins de deux, tout en conservant le recul nécessaire : on audite toujours un site, pas les gens qui l’ont produit. 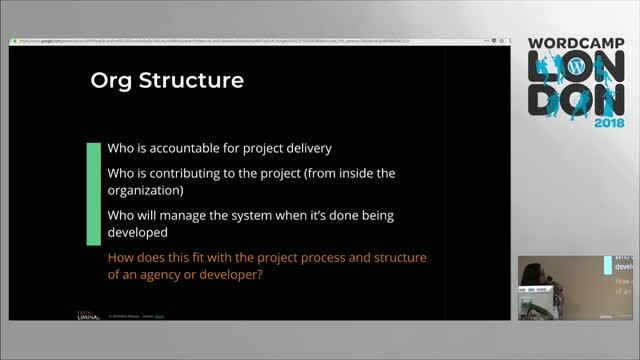 Entre sécurité, performances, analyse des dépendances applicatives d’un environnement WordPress, petits conseils et grands secrets d’expert, JP vous dira (presque) tout sur son expérience d’auditeur d’installations WordPress. Il vous présentera aussi la méthodologie de mise en place d’une installation d’auditeur, des jeux de données destinés aux tests unitaires et toutes les extensions utiles à cet exercice. January 24, 2018 — In this talk, I’ll explore common questions that freelancers have when deciding to build their own websites, and give some answers that will help you on your journey. September 26, 2017 — So you can build a technically wonderful website, but does it appeal to your audience? Does it have finesse? Who is it designed for: the owner, the designer/developer, or the customer/user? Are forms user-friendly? 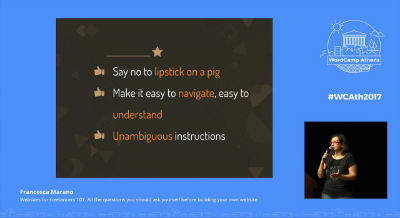 This talk will show you the things that make a website more complete, user-friendly, and user-appealing. 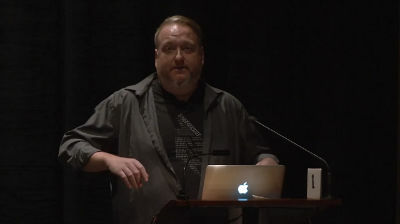 Topics will include favicons, custom 404 pages, form buttons, footers, colors, SSL certificates, and more. November 16, 2016 — È sempre il momento giusto per una buona idea, mettendo in campo passione, intuito e determinazione. In pochi anni io, neofita del web, ho dato vita ad un progetto entusiasmante capace di generare un importante indotto per me ed il mio territorio. Vi racconterò come. 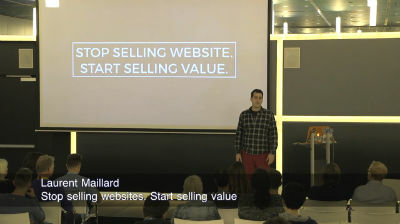 November 11, 2016 — During this talk I’ll present the 4 steps that the audience should integrate into all their projects in order to bring tangible value to their clients. I’ll focus on the “what” of those 4 steps. I’ll then explain the “how” to use those 4 steps to market themselves better, to attract better clients and last but not least to switch from one-shot project to retainers. 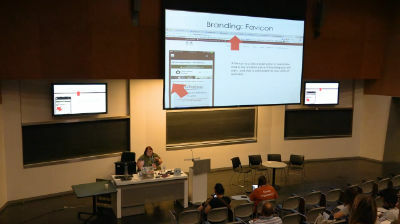 Tracy Malone: Anyone Can BUILD a WordPress Site … What Do You Do Now? November 9, 2016 — Clients come to me with websites that “A Friend” set up for me.. and it doesn’t work. Of course it can be pretty because it’s WordPress but HOW can we make it work?